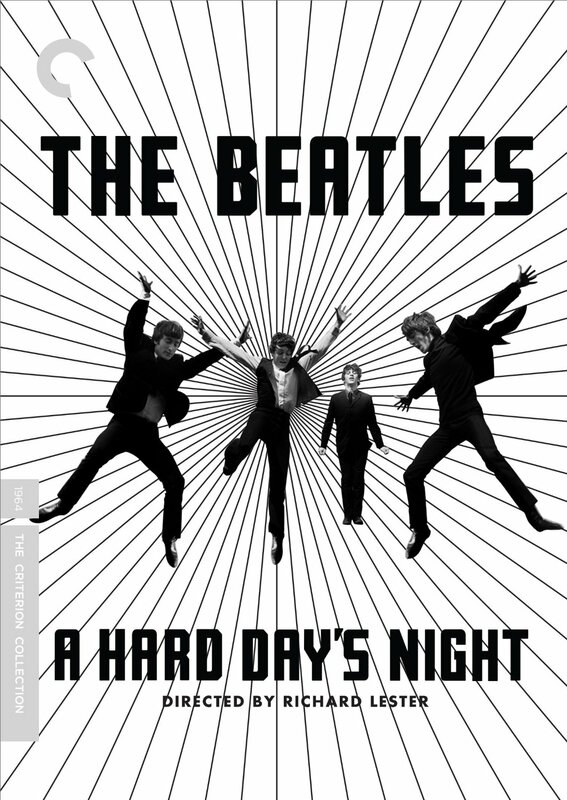 The new 4K digital restoration on BluRay and DVD of the Beatles film A Hard Day’s Night, approved by director Richard Lester and with 5.1 surround mix supervised by Giles Martin at Abbey Road Studios, is not officially out in the US until June 24. And it’ll be July 21 until you can buy it on disc in the UK…. Interestingly when the film is released in hard copy it will have different covers for the US and European markets. It will also have different special features included for each version too – see Wog Blogs post on this here. 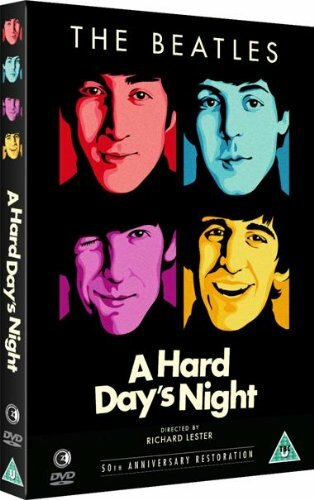 This entry was posted in Beatles, Beatles Collecting, Beatles Music and tagged 2014, A Hard Days Night, Beatle Films, Beatles by beatlesblogger. Bookmark the permalink. Are you sure this is the new edition? The price is WAAAAAY more for pre-ord4r over at Amazon and they have the what will be new cover art shown there. Sometime tells me this one here is the 2001 or was it 2002 or 03 release. The price is WAAAAY to low – this is going to be pricy – there’s a ton of hype over it and none of the reps at iTunes tell me this is the new version – they agree they don’t have it yet. 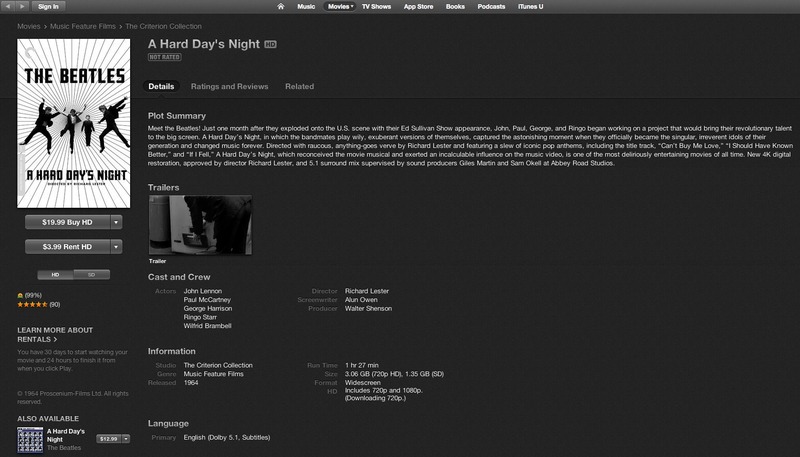 If you look at the iTunes ad above, it says buy or rent HD – it is not a Blu-Ray that you are clicking on to agree to. What I was told when I got through to a live rep was they don’t have the new version despite what it says in the description about the new version approved by Lester and the sound – they checked and the product number is exactly the same as they have had in the past. A supervisor got on with me and said possibly the site is in error or they are working on updating it with a re-direct to what they will be offering soon.